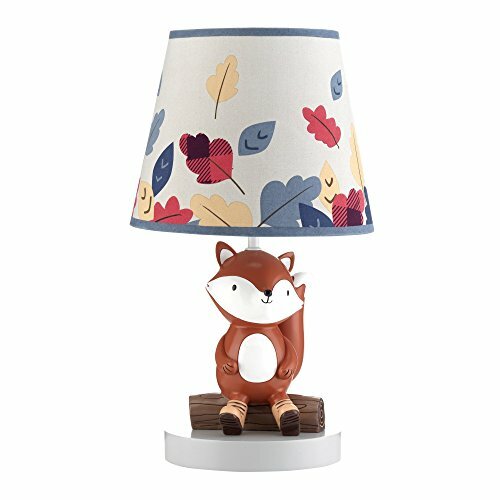 The Little Campers Lamp features Felix, everyone's favorite fox, sitting proudly on a tree log wearing his lace up boots. The coordinating tapered shade is filled with colorful leaves on a gray background with infinity blue binding. The lamp is poly-resin and is hand painted. The lamp is approximately 15 tall from the base to the top of the shade. It comes with an energy efficient 13 CFL watt light bulb for environmentally conscious parents. Imported.